There are a number of software and programs available to convert video to MP4 Mac. 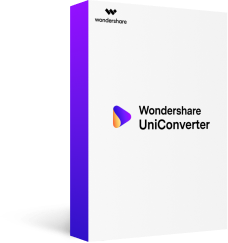 To ensure that conversion is fast and without any quality loss, use professional software like Wondershare UniConverter (originally Wondershare Video Converter Ultimate). 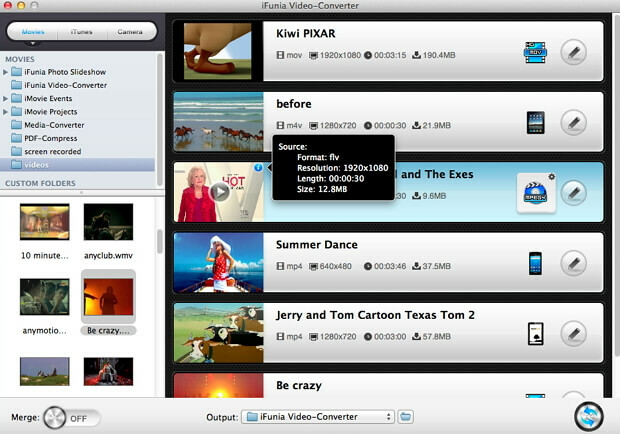 It works as the best video converter for Mac supporting a wide range of formats for conversion. Additionally, the software also supports video download, editing, transfer, and DVD burning. The software is compatible working with Mac OS X10.7 or later versions. Windows version of the software is also available. 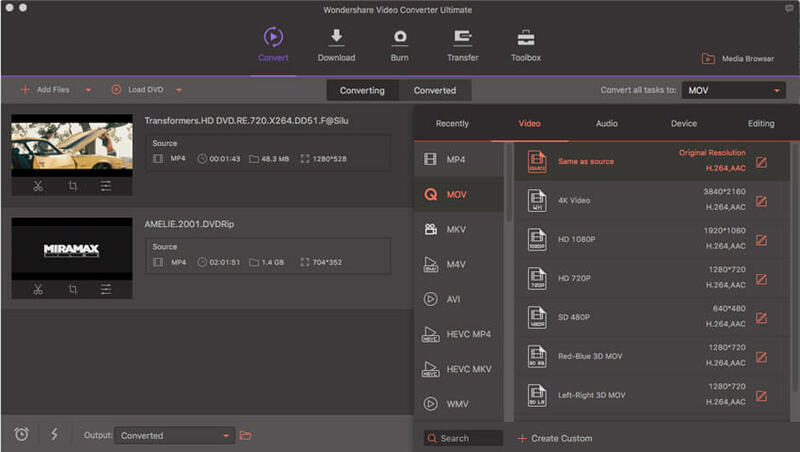 Wondershare UniConverter for Mac supports over 1000 formats for conversion including MKV to MP4 Mac, MOV to MP4 Mac, and others. Device specific format conversion to avoid compatibility issues is also supported. APEXTRANS technology of the program facilitates lossless quality conversion at fast speed. In addition to local videos, the program also recognizes videos from external devices like DVD, camcorders, USB drives, Smartphone, and others. Batch processing of video to MP4 is also supported to convert multiple files at a time. Step 1: Launch Wondershare best video converter for Mac and load video files. 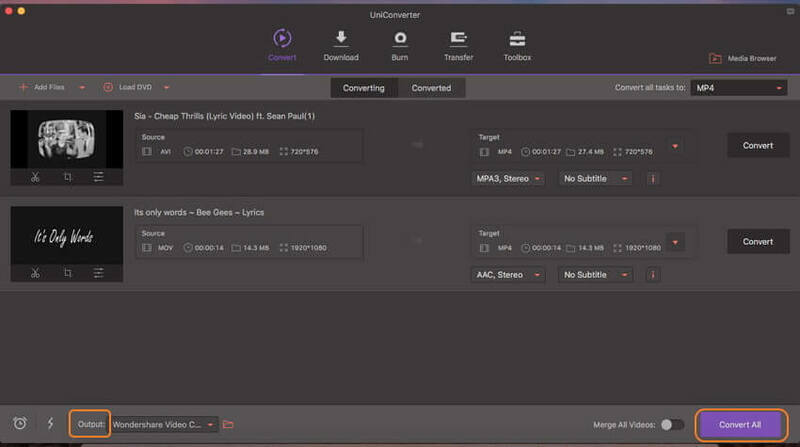 Download, install and open Wondershare UniConverter for Mac (originally Wondershare Video Converter Ultimate for Mac). From the Convert tab, click +Add Files to browse and add video files from your system. Alternatively, you can also drag and drop the files. Multiple videos can be added at a time. Step 2: Select output format as MP4. The added files will appear as thumbnails on the program interface with details like size, resolution, and others. Open drop-down menu next to Convert all tasks to: option at the top right corner. Select MP4 from the Video tab. You can keep the resolution as the original source file or change it as needed. To edit the file parameters like resolution, bit rate, and others click the edit icon next to the selected format. Step 3: Convert videos to MP4. At the Output tab, select the location on Mac where you want to save the converted file. Click Convert All to start the conversion process. 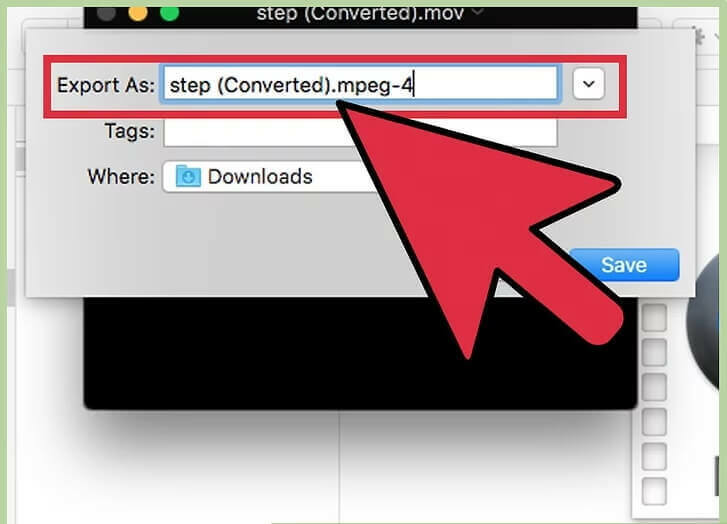 Using the above steps, you can convert between an array of formats like convert AVI to MP4 Mac, MOV to MP4, and MP4 to a range of formats, and others. The software also works as MP4 to MP3 converter Mac and thus allows extracting audio from video files. Q1: How to convert MKV to MP4 Mac Free? Looking for a free tool to convert your MKV files to MP4 on Mac? 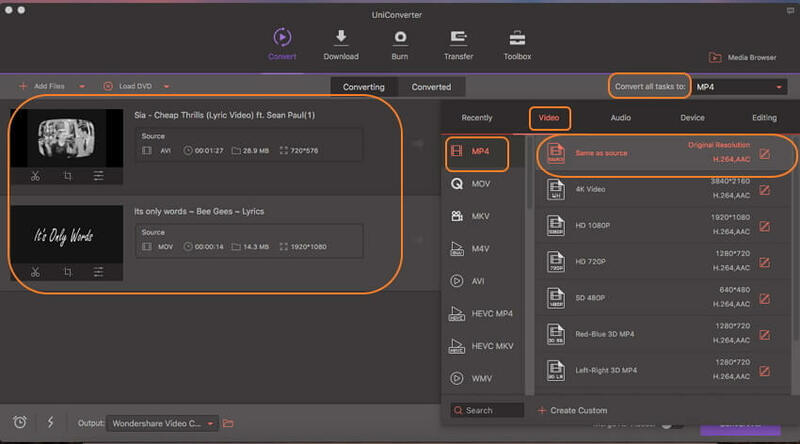 Online UniConverter (originally Media.io) is an online conversion tool that facilitates converting popular formats to a range of video and audio formats. Using this free tool you can convert MKV to mp4 Mac in quick and simple manner. Two files with maximum size of up to 100MB can be added to the program for conversion. Step 1: Open https://www.media.io/ on your Mac browser. Click +Add your files to browse and add MKV video from your system. Step 2: At Convert to: tab, select MP4 as desired output format from Video category. Step 3: Click Convert to start MKV to MP4 conversion process. Once the process is complete, you can download the MP4 file from the interface. Q2: How to Convert MOV to MP4 Mac with Quicktime? If you wish to convert your MOV files to MP4 on Mac without any need for third-party software, QuickTime proves to be a good option. Using the Export function of QuickTime 7 Pro app, you can proceed with the conversion process in a simple and quick manner. Step 1: Download, install, and open QuickTime 7 on your Mac. Step 2: Select the MOV file that you want to convert, right click and select Open with the option and then choose QuickTime 7 Pro. Step 3: Once the MOV file is opened, click the File menu and choose the Export feature. Step 4: Select the Export menu and at Export As: tab, select MP4 as output format. At Where: tab, you can select the location on Mac where you want to save the converted file. Finally, click Save to start to convert and save MOV to MP4. Q3：Do you know how to convert M4V to MP4 Mac? What Makes An Ideal Mac Video Converter? 1. Convert video to 1000＋ formats, like MP4, MOV, AVI, MKV, etc. 2. Download online video from 10000＋ video sharing sites. 3. Burn videos to playable DVD with attractive free DVD templates. 4. Edit, enhance & personalize your video files via trim, crop, add subtitle and more. 5. Versatile toolbox combines GIF maker, cast video to TV, VR converter and screen recorder. 6. Supported OS: Mac OS X 10.13, 10.12, 10.11, 10.10, 10.9, 10.8, 10.7, 10.6, Windows 10/8/7/XP/Vista. As the best MP4 converter Mac on CNET download site, it has impressive file compatibility for over 1000 video/audio formats and popular device compatible formats, such as MP4, MOV, MKV, iPhone, Samsung, TV, Xbox, etc. Wondershare MP4 converter Mac not only converts MP4 to MOV Moreover, the industry-leading APEXTRANS technology guarantees 30X faster conversion speed than other conventional converters without quality loss. iMedia Converter Deluxe is another MP4 converter for Mac that converts MP4, MP3 and other 150+ file formats to MOV, M4A, etc. on Mac. The MP4 video converter Mac maintains the file quality after the conversion process. It also shares the same bonus feature with Wondershare UniConverter that supports downloading online videos from YouTube, Dailymotion and over 10000 video streaming sites. Aimersoft Mac video converter to MP4 also ranks high in the toplist of best MP4 video converter for Mac. Compatible with both Mac and Window system, the Mac MP4 converter supports 250+ audio and video formats conversion and audio extraction for smooth playback with music player. In addition, it enables you to search video metadata and sync converted videos to iTunes within simple clicks. 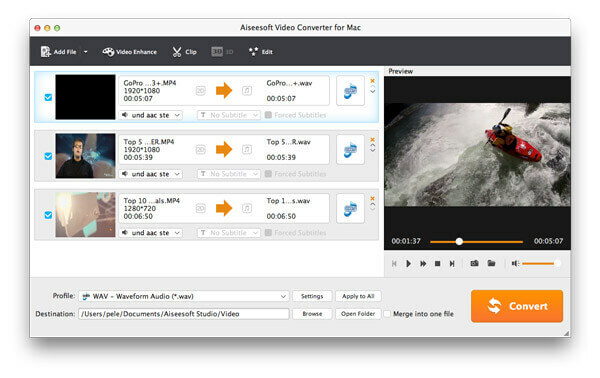 Aiseesoft MP4 Converter Mac is a decent video converter that converts videos to MP4, MOV, FLV, 3GP, AVI and other popular formats. Providing 14 different types of 3D modes, Aiseesoft video converter Mac easily turns your 2D video to a 3D movie for watching on 3D TV. Beyond that, its embedded editing functions allow you to personalize the video to your preference by adjusting video brightness, hue, volume, contrast, etc. This is an easy to use MP4 converter for Mac that allows converting video and audio files to 180+ different formats without little quality loss. Its featured native codecs ensures you the best result for video to Adobe Premiere/iMovie conversion. Furthermore, Leawo Video Converter to MP4 Mac enables you to enhance video with cropping, trimming, adjusting brightness and other editing features. 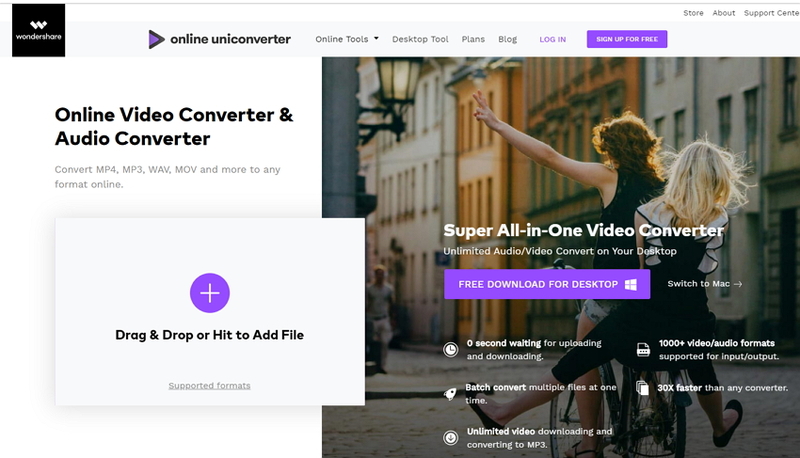 Online UniConverter (originally Media.io) is a popular online video converter to MP4, MOV, AVI and an array of popular formats, including major video, audio and DVD files. The free MP4 converter Mac uploads 200MB maximum file for conversion purpose. To convert MP4 Mac online, you simply need to upload the video file, select output format and download the converted file. Note that the converted files are available for 24 hours and you can save them to Dropbox as an alternative. It’s another widely-used Mac free MP4 converter that works seamlessly with any browsers. Online Video Converter is free to use and supports decent list of file formats for online conversion. Aside from the local file conversion, the online video converter also converts video links, i.e. online portals, like YouTube, Vimeo and Dailymotion target video URL. All you need is to add file or link, choose output format and initiate online conversion Mac. Xilisoft Video Converter for Mac is another known Mac MP4 converter, which is capable of Mac conversion virtually between all video and audio formats. The best video converter for Mac provides multiple video customizations like clipping, merging, cropping, etc. In addition to that, it splits large files into several segments during conversion process and allows merging video clips and pictures together as well. 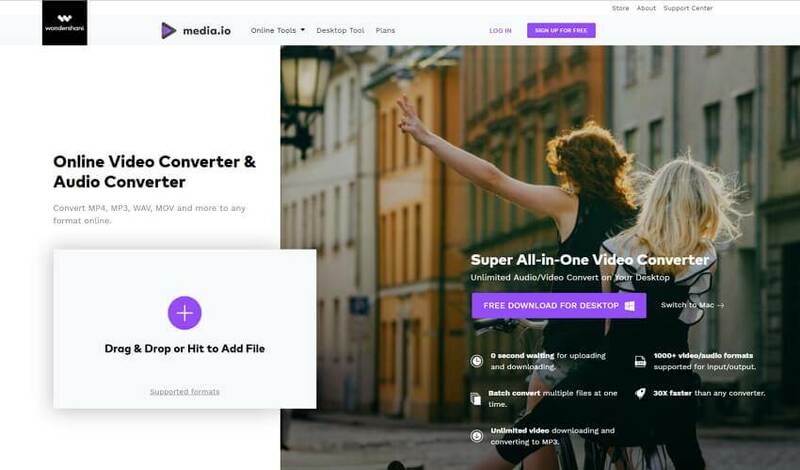 iFunia Video Converter for Mac not only converts MP4 video to FLV, MTS, MKV, AVI and any popular video formats within simple steps, but extracts MP3, AC, M4A and other audio from video files for playback on media players. What’s more, it imports video from camera, iTunes and movies folder and is packed with optimized preset for Apple software like iDVD, FCP and iMovie. 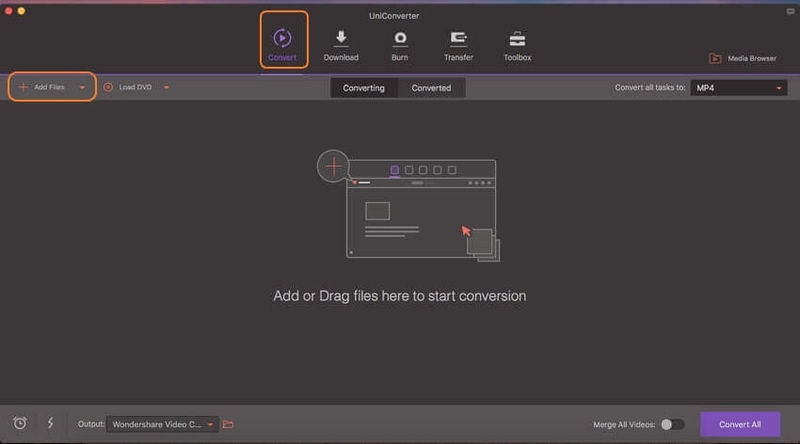 Different from other online video converter Mac, CloudConvert converts almost anything ranging from major video, audio, presentation, spreadsheet, document and E-Book format to URK, Dropbox, Google Drive, OneDrive and Box files. The free MP4 converter online is free to use and requires no installation. With it, you can also set the video and audio parameters as you like. Will You Update macOS? 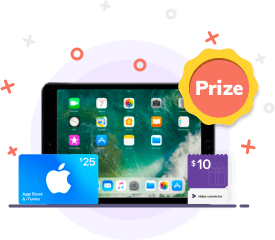 Vote to Win Prize! -Apple has promised that macOS High Sierra will be the "last macOS release to support 32-bit apps without compromises." 1. Duration time: 04/26/2018 - 05/15/2018. 2. Each email has one chance to win prize. 3. Sharing the page to Facebook entitles you to win prize. 4. Winners will be picked randomly and announced on 18th May 2018. 5. All the information that you submit will be used on this page only. 6. The final explanation right of this activity is reserved by Wondershare.